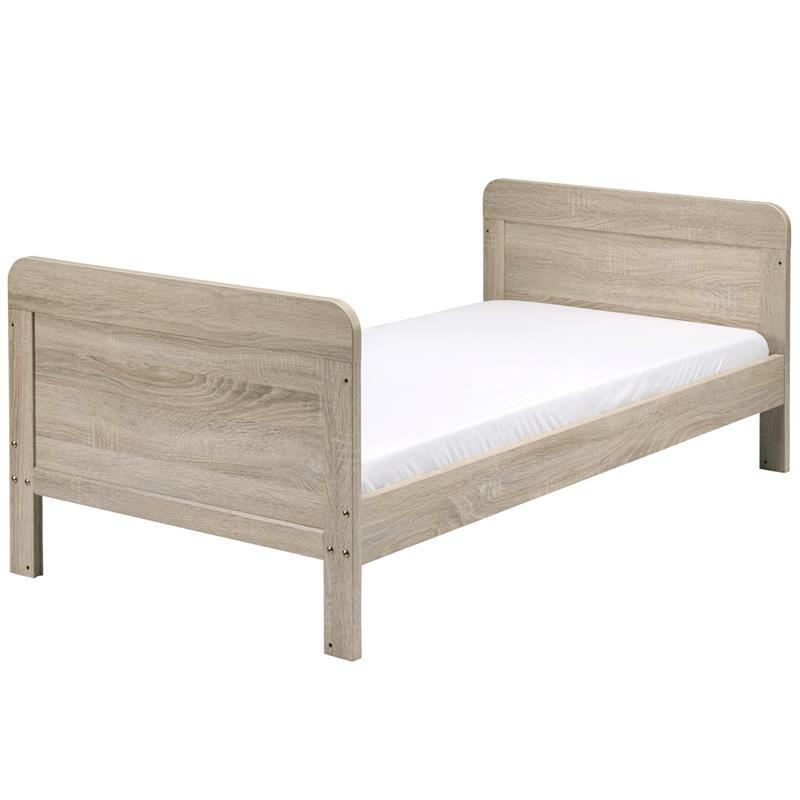 The Fontana Cot Bed has a washed-wood finish, which looks fantastic with white and neutral shades, or bold-coloured bedding. The clean shape and solid end panels make it a perfect addition to a modern styled nursery. The cot bed has three adjustable base heights, making it easier to pick up your newborn and preventing escape attempts as they grow! The sides of the cot bed have protective teething rails, and it’s been carefully designed and thoroughly tested. The Fontana range is also available to buy as a complete room set including cot bed, dresser and wardrobe.